I don’t have a great deal of energy around this, but would feel much better if this were a tax paying member of the city. I commute to the shipyard on that road regularly. The street isn’t super busy, and this would be a great change for the church, but what exactly does the city get for turning over that real estate? Is this essentially a gift? The previous commenter pointed out that there won’t be any increased tax revenue; I suppose road maintenance would go down, whatever that’s worth. I’d like a bigger front yard, will the city consider giving me a lane of my street? I already pay taxes, as do most likely the majority of members. I’m not caring for the closing of the southern portion of Veneta, as the alley behind 4th avenue empties onto Veneta. This would create a access problem for the homes around the southern portion of Veneta. I’m not so opposed to the northern section closure, however I am in agreement with the earlier commenter that it would sit better if the church (who can afford a $350k organ) would be a tax payer. The church did by the organ. The body of the church( all the members )donated one pipe at a time as a pledge for two years to get that organ The Catholic Church is not a bank. Our school teachers make less than public school teachers and do more. Our parents volunteer 50 hours per family per year to help it run. We have money because all give time, talent, and treasure. Kathleen: Everyone is aware that individuals are paying property taxes, that wasn’t what I was referring to. 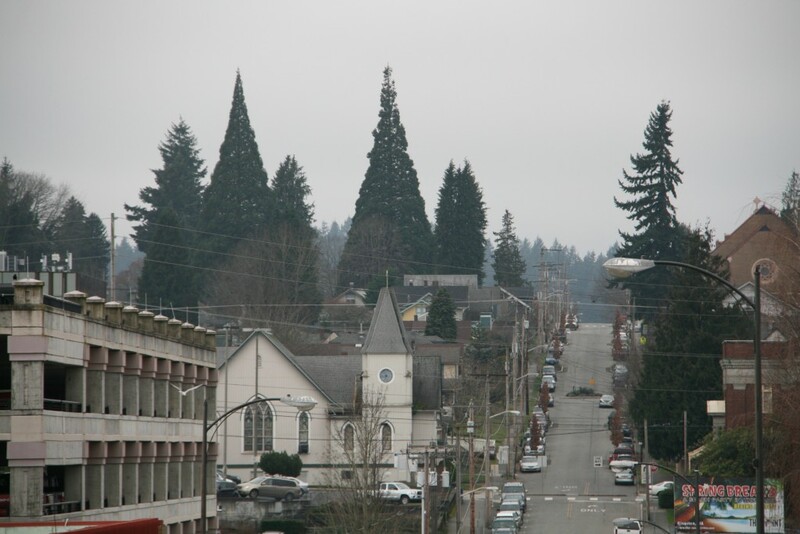 There is really no need to get into a debate on the warrants of church tax free status either… I’m merely pointing out that the city is apparently going to give property to the church… So what do the people of Bremerton get out of this proposed property transaction? That is the only light between Warren and Naval if you wish to cross 6th safely. I drive that street almost every day and am opposed to this church putting us in danger or making us drive father so they can try to make their own little Rome. Thank you for pointing out the same problem that I have with this street closure. 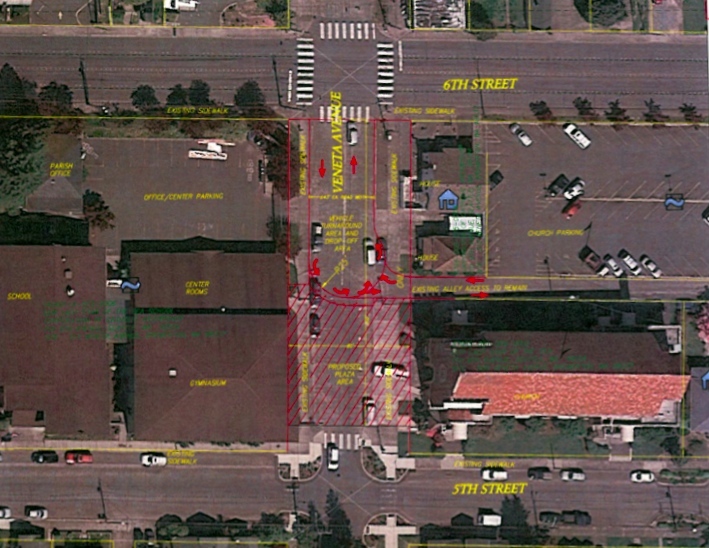 If Veneta closes, the church should pay to move the stoplight to a new intersection on 6th. I’ll definitely be at the meeting on Monday. I live on 4th Street but my parking is on the alley between Veneta and Chester. I use the light on 6th to go to the store and to get to the light on Warren since the city blocked off 4th and 5th on Warren. It seems the non-tax paying church has more rights than the tax paying public. I am 81 yrs old and ambulances and fire dept would have a problem and take more time to get to us. I’m a Catholic and I oppose a campus at my parish. I think that Father Lappe is letting pride stand in the way of reason, as it would be his idea and would draw attention from the Archdiocese if it goes through and the lay people pay for it. Father Lappe, must think about the need for people who can’t climb the hill nor stairs to have access to their front doors, which includes the only place available to park a car at. Let me know when he thinks about others and then I will re-consider my oppose vote.